Member of the French National Assembly Thierry Mariani. French lawmaker Thierry Mariani, author of the document calling on the French government to cancel the sanctions against Russia imposed by the EU, which was adopted by the National Assembly on April 28, explains the significance of this decision, which is unlikely to be adopted by the government. The lower chamber of the French Parliament has backed by a majority vote a resolution calling on the government to cancel the sanctions against Russia imposed by the EU in 2014 over Moscow’s takeover of Crimea and support for pro-autonomy rebels in eastern Ukraine. “Most French are for lifting the sanctions. Today's vote showed it. Even the governing Socialist Party was not able to block the resolution,” said former French Prime Minister Francois Fillon, speaking after the vote. The French Foreign Ministry also had something to say about the parliamentarians' decision. "We have taken into consideration the resolution adopted by the National Assembly calling on the government to cancel the restrictive measures that the EU adopted against Russia," stated Foreign Ministry spokesman Romain Nadal. He also noted that the sanctions "were and remain tied to the realization of the Minsk agreements," something that must be considered when discussing their extension. The resolution had been promoted by 85 deputies from the Republican Party who make up the initiative group headed by conservative politician Thierry Mariani. 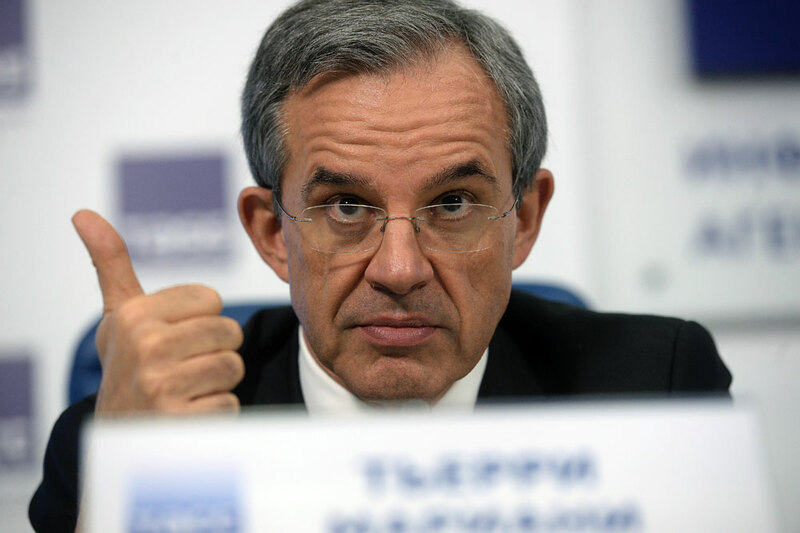 According to Mariani, the resolution "calls on the French government not to extend the restrictive measures and economic sanctions that the European Union imposed on the Russian Federation." The document has a recommendatory character and is not binding for the French government, which in any case does not have the authority to lift sanctions unilaterally, since the decision to impose them was taken at EU level. What else is needed from French legislation in order for the sanctions to be lifted? One resolution is not enough. Thierry Mariani: I've been a member of the French parliament for 20 years. And this is the first time in which we were able to present a resolution and support it with a majority of the votes. Now it is up to the French government. Obviously, they cannot simply ignore the opinion of a democratically elected parliament. France is teaching the rest of the world human rights, democracy and the rules of parliamentarianism and I cannot image that the government would ignore the resolution. This is the first resolution in the EU on the issue of sanctions against Russia. Now we are waiting for the government's reaction. In normal democracies, when parliament votes for a certain resolution, the government is obliged to consider it. Is the resolution just the opinion of a few parliamentarians or is it the position of the entire lower chamber of parliament? T.M. : This is the opinion of parliament. Thus is the procedure. There was a vote and the resolution calling on the government to lift the sanctions against Russia was supported by the majority. Now, according to the procedure, this is the opinion of the French parliament, its lower chamber. This is a very important resolution. No one can say that this is the opinion of individual parliamentarians. In France most bills are adopted with minimum advantage but they go on to determine our lives for decades. The resolution had been promoted by 85 members of parliament but only 55 lawmakers voted for it. Your Republican Party has 199 seats in parliament. How did this happen? T.M. : Very simply. There is a transportation strike in Paris now and many parliamentarians from various parties were not able to come and vote. Secondly, today is Thursday, while the most important and attended days of the French parliament are Tuesday and Wednesday. I know from my multi-year experience in parliament that Thursday is not the most convenient day for voting. More and more European politicians are becoming skeptical of the sanctions against Russia. Do you think other EU countries will follow your party and the French parliament's example? T.M. : Our resolution is the first and only political action of this sort in Europe. But I'm convinced that if similar votes are held in other European countries, the result will be the same. What does the governing Socialist Party think of your initiative? It didn’t support you. T.M. : I must say that they are conducting a double policy. When the agriculture minister travelled to Moscow he stated that the sanctions must be canceled. Other cabinet members also made such remarks. But when it came time to support the resolution, they voted against it.